It started with punk. Hip-hop, rave, graffiti, and gaming took it to another level, and now modern technology has made the ideas and innovations of youth culture increasingly intimate and increasingly global at the same time. 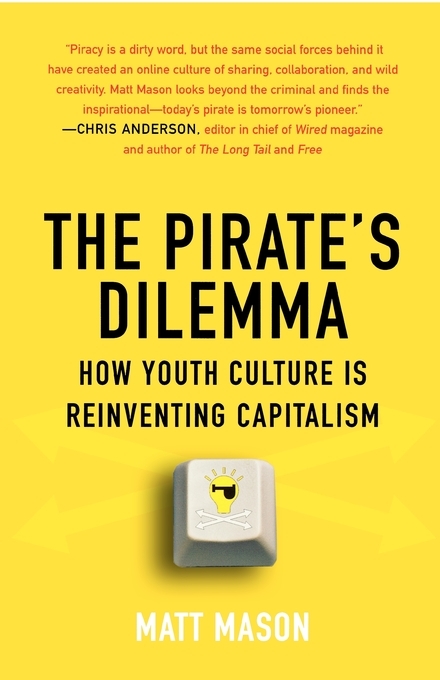 In The Pirate's Dilemma, VICE magazine's Matt Mason -- poised to become the Malcolm Gladwell of the iPod Generation -- brings the exuberance of a passionate music fan and the technological savvy of an IT wizard to the task of sorting through the changes brought about by the interface of pop culture and innovation. He charts the rise of various youth movements -- from pirate radio to remix culture -- and tracks their ripple effect throughout larger society. Mason brings a passion and a breadth of intelligence to questions such as the following: How did a male model who messed with disco records in the 1970s influence the way Boeing designs airplanes? Who was the nun who invented dance music, and how is her influence undermining capitalism as we know it? Did three high school kids who remixed Nazis into Smurfs in the 1980s change the future of the video game industry? Can hip-hop really bring about world peace? Each chapter crystallizes the idea behind one of these fringe movements and shows how it combined with technology to subvert old hierarchies and empower the individual. With great wit and insight -- and a cast of characters that includes such icons as the Ramones, Andy Warhol, Madonna, Russell Simmons, and 50 Cent -- Mason uncovers the trends that have transformed countercultural scenes into burgeoning global industries and movements, ultimately changing our way of life. 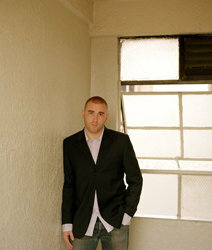 MATT MASON is an award-winning writer, consultant, and entrepreneur based in New York City. He was the founding editor in chief of the underground fanzine RWD, which he helped grow into the U.K.’s number one urban music magazine and one of the world’s leading urban music websites. "Wacky and intriguing stories." --Fast Company, "Smart Books 2008"